The album includes seven tracks, including the title song "Boy With Luv", which features US pop star Halsey. BTS reveals colla with Ed Sheeran + "Map Of The Soul: Persona" surpasses 3 million pre-order. 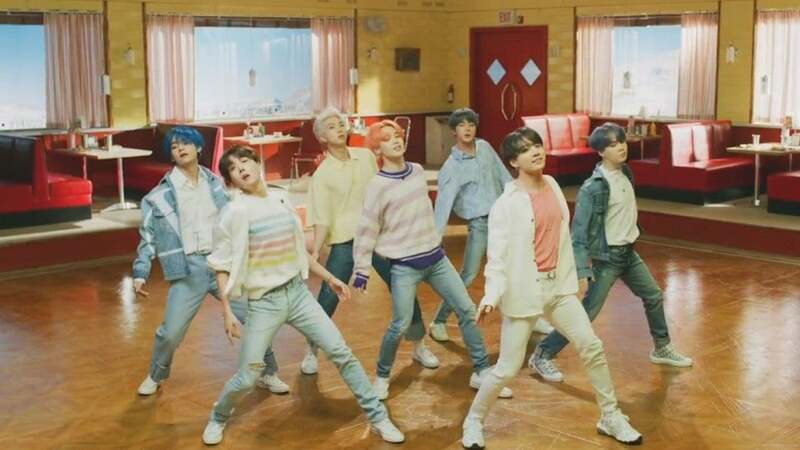 The highly anticipated "Boy With Luv" collab has been released with an iconic video that gives us some major summertime vibes. Their brand new album, Map of the Soul: Persona contains a collaboration with Ed Sheeran. That's because K-pop superstars BTS just released the video for new single, "Boy With Luv", featuring Halsey, which already has over 30 million views. For instance, Halsey worked on one of the seven tracks called "Boy With Luv". Both the song and the video are a celebration of being in love and about finding joy in life's smaller moments. The sixth track "Jamais Vu" is a joint work by the BTS' subunit of three members - J-Hope, Jin and Jung-kook - while the final track "Dionysus" is a hip-hop number featuring Jin's rocking vocals, according to Big Hit. On Saturday, they will be making their "Saturday Night Live" debut, where they will perform their latest single.